Vintage Herr Keramik Apothecary Jar with Lid in excellent condition. 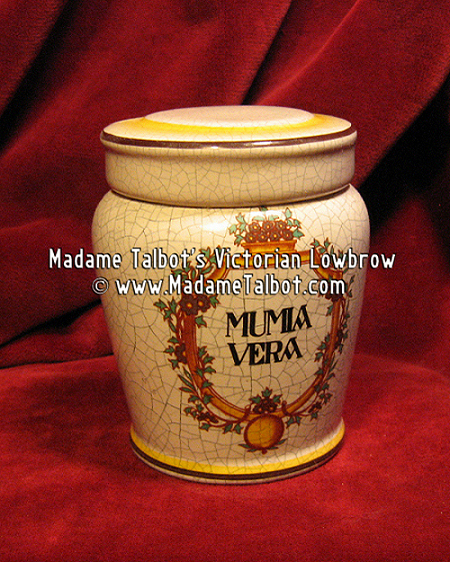 It has a beautiful crackle finish with MUMIA VERA spelled out in black and with detail in Yellow and Brown on a white background. It measures 4" tall with lid on x 3.5" wide and has the Herr Keramik Made in Germany mark on underside of base. It has no nics, chips, cracks or any damage.